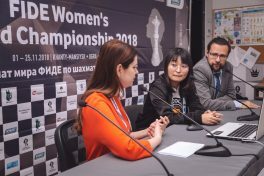 Press conference with the reigning women’s World Champion Ju Wenjun. 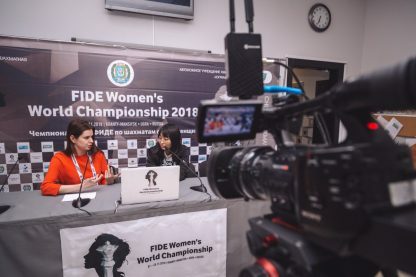 – Wenjun, please tell us about your first match against Kathryn Hardegen from Australia. – This is my first time playing against Hardegen. 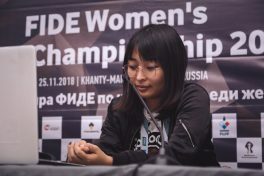 And I feel she has a very fighting spirit, but in a time pressure she made some mistakes and I won both games. – So the first match was tough for you, wasn’t it? 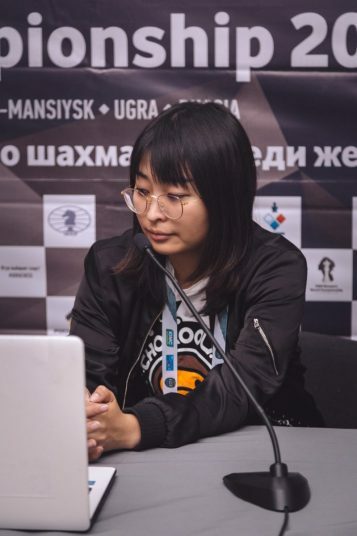 – Yes, because I think that after the opening White had some chances to get some advantage but she didn’t find it, and the endgame was like winning to me. – It’s not your first time in Khanty-Mansiysk. Can we say that this place is a lucky one for you? – I think if I am correct I am here for the fourth time. 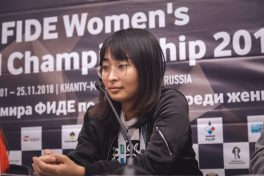 I won the Women’s Grand Prix leg in 2016 here so this event became a very historic tournament for me and I enjoy playing here. 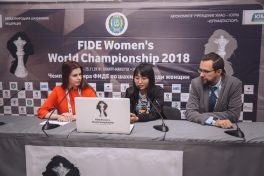 – After winning Grand Prix you have qualified for the World Championship match and then you have won the World Championship Match. Does the title impose any extra pressure on you here? – I feel some pressure during this tournament but the title is not the cause. 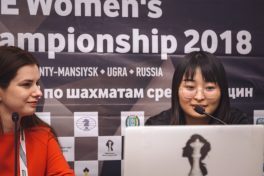 – What do you think about the future changes in the system of Women’s Chess World Championship? – I think it’s good for women. 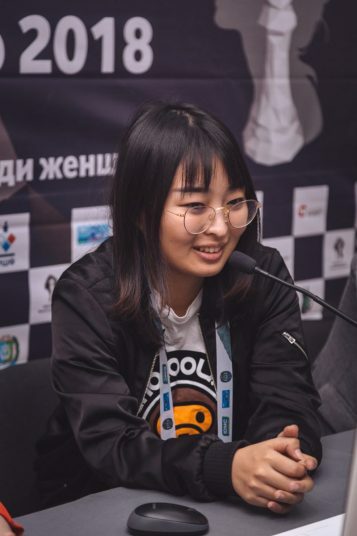 – Recently, both the open and women’s Chinese teams have won the World Chess Olympiad in Batumi. Did you get any rewards from your country? – After we won, both men and women, we got to CCTV1 – the most important TV-channel in China and we feel very proud. But it’s been only one month since that time and now we’re here. So, so far we’ve just been preparing for the Championship but I think when we are back we will get some awards. – You’re not playing tomorrow, so how are you going to spend your day? – Most of the time I will be staying in the hotel. Also I want to go for a walk. It’s minus here but it’s not so cold for me. 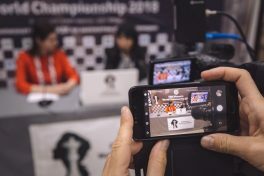 – There are many Chinese players participating in this championship, and chess is very strong in China in general. Do you think one of the China players has to be considered the favorite of this event? – It’s a knock-out system and I think everyone has a chance here. It’s not only about the level it’s also about your performance and a lot of other things. I don’t think about the favorites because everyone has good chances.